USB 3 Port Cell Phone Charger Just $6.99! You are here: Home / Great Deals / Amazon Deals / USB 3 Port Cell Phone Charger Just $6.99! Head over to Amazon to save up to USB 3 Port Cell Phone Charger (in Gold) Just $6.99! Reg. $26.99! Shipping is FREE with Prime or on orders of $35+. Don’t have Prime? Try a 30 day FREE trial! 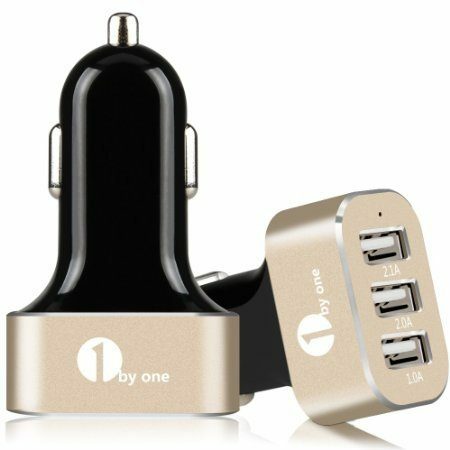 Keep portable devices powered up and ready to go with this 3 port USB car charger, allows for charging three devices at the same time, it’s perfect for just you or for sharing the charge time with a friend.